Northern Tanzania, with its rugged mountains and breathtaking landscapes, include the highest mountain in Africa, Kilimanjaro and the often overlooked, but no less interesting Mount Meru. These never fail to make the hearts of climbers beat a little faster. Our trained English-speaking guides, supported by a team of cooks and porters, will accompany you on your tour. 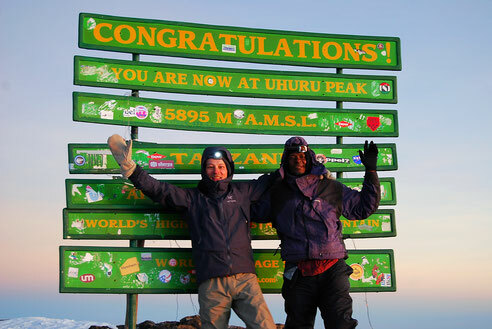 Just enjoy your ascent of Mount Kilimanjaro or Mount Meru whilst leaving all other considerations to us. 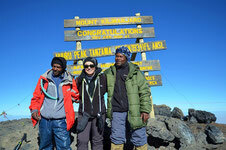 Of course, the combination of a Mount Meru and a Kilimanjaro ascent is also possible. 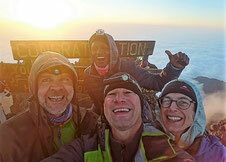 The previous acclimatization at Meru supports the subsequent ascension of Kilimanjaro. On request, we can provide you with an individual quote for a combination of both mountains. 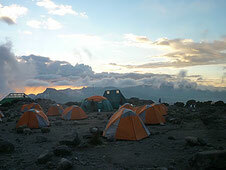 A climb of the Kilimanjaro on other than the below offered routes is also possible, just contact us. 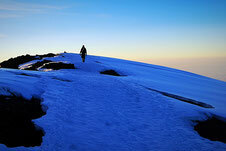 The Machame Route is often referred to as the most scenic ascent of Kilimanjaro. The profile of the route allows for a good acclimatization, but the route leads partly through steeper passages and requires a good level of fitness. Accomodation is in tents. This route starts at Londorossi Gate on the western flank of Kilimanjaro and offers great views of Mount Meru and Amboseli National Park. Until the Barranco Camp this route is less populated - then the route joins the Machame route. The little brother of the Kilimanjaro and with 4,566 meters the third highest mountain in Tanzania. Its landscape is no less interesting than Kilimanjaro‘s, but Meru is still the least visited of the two. The ascent, much steeper than the Kilimanjaro, starts at the Arusha National Park, so you will also meet giraffes, buffaloes and other lowlands wildlife. Overnight stays will be in simple wooden huts.